As exam time is approaching the Transport Team, Estates department, are working with Stagecoach to provide extra Uni2 buses on Sundays and Bank Holidays Sunday 21 April – Sunday 16 June 2019. During term-time we provide a 24 hour bus service 6 days a week, serviced by the Uni1, Uni2, 4 and Triangle buses. The additional Uni2 services mean that there will be a 24/7 bus service for this period to help you travel to and from the library to prepare for exams. See additional Uni2 services below. The timetable can also be viewed on the large posters at Keynes and Darwin bus stops on campus. This entry was posted in News and tagged 24/7, exams, extra buses, Stagecoach bus, uni2 on April 1, 2019 by Miriam Sandiford. How far can your Stagecoach bus pass take you? Did you know that Student Unirider bus tickets and staff South East Megarider tickets are valid for any Stagecoach bus in Kent and East Sussex? 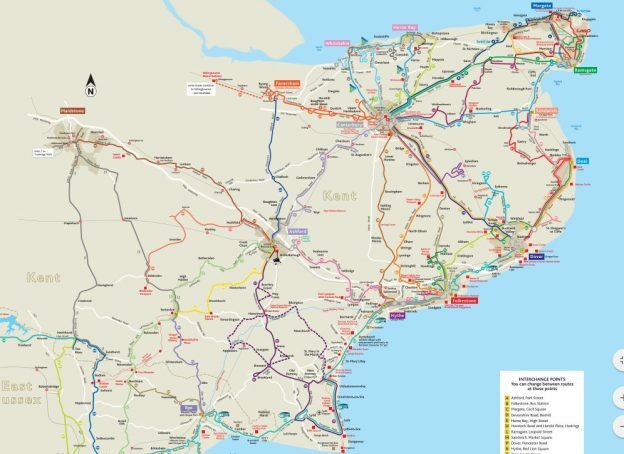 See the full map for how far you can travel on your bus pass. Canterbury is one of Stagecoach’s main bus stations and therefore connects many different towns in Kent, making it easy to explore the area. This includes coastal towns like Margate, Ramsgate and Sandwich. Remember that these tickets are available to all staff and students- not only Canterbury students and staff. This entry was posted in News and tagged south east megarider, Stagecoach bus, Unirider on October 2, 2018 by Miriam Sandiford. Buying Stagecoach’s dayrider and megarider tickets will soon be cheaper on the app. 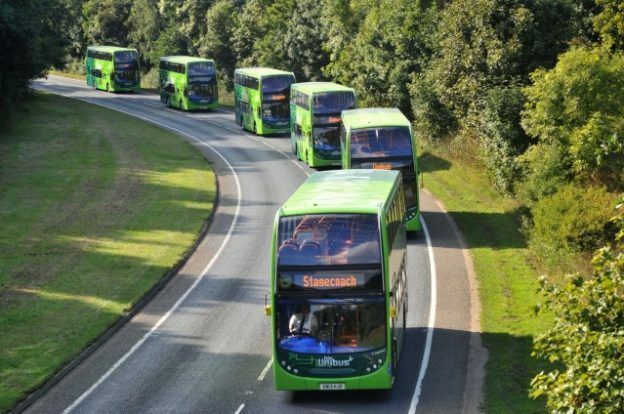 From July 29, Stagecoach will be changing their pricing structure. You will be able to save up to 7.5% by buying all dayrider and megarider tickets in advance on the app, rather than in person on the bus. For example the Southeast dayrider will remain £7.00 on the bus, however, it will only be £6.80 through the app. For a full list of the new dayrider and megarider tickets, please visit the Stagecoach bus app website, or, to download the app, go to the App store or Google Play. For staff and students, however, the cheapest option is a bus pass. Students will be able to get the Unirider bus pass from September. For more information, or to apply for a bus pass, please visit our Bus discount webpages. 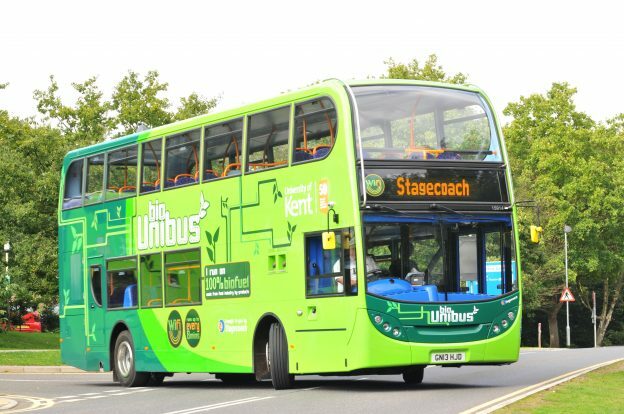 This entry was posted in News and tagged bus, bus pass, bus ticket, bus travel, Canterbury, Canterbury campus, stagecoach, Stagecoach bus, Summer Unirider, sustainability, Unirider on July 24, 2018 by cef20. Unibuses will not be serving bus stops along Park Wood road from Monday 23 June to Tuesday 24 June. This is due to urgent repairs and cabling works which need to be carried out. All car parks coming off Park Wood road will still be accessible and the alternative route will be signposted. This entry was posted in News and tagged bus, bus travel, Canterbury, Canterbury campus, Park Wood road, stagecoach, Stagecoach bus, Summer Unirider, transport, Unirider on July 17, 2018 by cef20. We have a number of Stagecoach weekly Canterbury megarider bus tickets to give away! To enter the giveaway follow @unikent_travel and retweet our competition tweet. The weekly tickets will be given out on a first-come-first-serve basis until they run out, or by 10 May 2018. By entering this competition you accept the following terms and conditions. You must be a student or member of staff at the University of Kent. You will be asked to show your KentOne card upon collection of the prize. The smartcard tickets must be activated on or before Thursday 10 May 2018. The ticket can be used for 7 consecutive days from activation. Prizes cannot be exchanged or refunded. One entry per student or staff member. The giveaway closes once the prizes have run out or by 10 May 2018. This entry was posted in News and tagged #UniKentTravelComp, canterbury megarider, competition, giveaway, Stagecoach bus on April 30, 2018 by Miriam Sandiford.